Canada’s updated Code of Practice for the Care and Handling of Pullets and Laying Hens has been released and is online for public comment. Developed by The National Farm Animal Care Council (NFACC), the updated code covers all farm-welfare practices related to egg-laying hens. Section 2 on Housing (see pages 9-10) is probably the most controversial part of the code. It deals with the transition away from battery (‘conventional’) cages. In particular, it recommends a move to ‘enriched’ rather than cage-free housing. This comes at a time when dozens of retailers and restaurant chains are committing to buying cage-free eggs. According to World Animal Protection, in the next 10 years, approximately 75% of Canada’s eggs will need to be from cage-free hens. CCFA is disappointed the new code allows tiny battery/conventional cages until 2031. It also allows so-called enriched/furnished cages after that date. Enriched cages are larger than battery cages (they also contain more hens) and include equipment such as perches that allow the birds to behave more naturally. 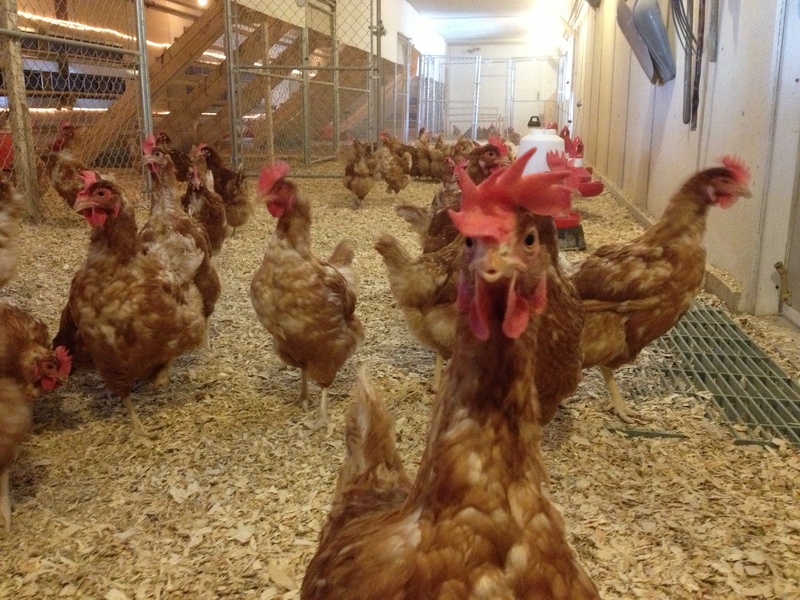 CCFA advocates only cage-free eggs. You can read the draft code here, and you can comment on it here. For additional insight on the code and the key welfare issues behind it, you can read the review of scientific research on priority issues. You might also be interested in this Canadian Grocer article which profiles some farmers and their hen-housing concerns. The Modernizing Animal Protections Act had its second reading in Parliament May 9th, and is expected to undergo its third and final reading the week of September 21st. As this date approaches, it’s more important than ever that Canadians contact their MP and ask him/her to support this important bill. Current laws are either so vague or so weak that it’s almost impossible for cruelty charges to result in prosecution. As an example, it is extremely difficult for a judge to prove ‘willful neglect’ in a case when animals are abandoned or left to starve. As a result, very few cases ever result in convictions. Bill C-246 will help change this, bringing our laws in line with the kind of protection that the vast majority of Canadians want for animals. This simple infographic from the International Fund for Animal Welfare provides a helpful overview of the bill and what it will and won’t do. You can also read the full text of the bill here and you can read MPs’ comments for and against the bill here. On August 29th , 1996, an Australian transport ship carrying almost 70,000 sheep to the Middle East caught fire. The ship’s crew abandoned it, leaving the animals to burn and drown. Twenty years later, long-distance transport remains one of the key global causes of animal cruelty. In Canada, for example, cows, goats and sheep may legally travel up to 52 hours without food, water or rest. 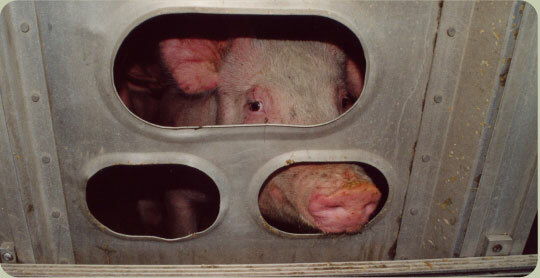 Pigs, poultry and horses may travel up to 36 hours. CCFA is joining forces with Compassion in World Farming to raise awareness of this issue in a global day of action called Animals Are Not Freight. On August 29th, 2016, from 1 – 3pm, we’ll be demonstrating at the corner of Yonge and Dundas in Toronto. Please join us — you can reply YES to this email, or visit our Facebook event page and click ATTENDING. CCFA has launched a formal federal e-petition asking the Government of Canada to update its regulations around transporting animals. These laws have not been updated in 41 years, and need to be more progressive and humane. Trucks need proper ventilation and protection. Transport times need to be shortened — currently, cows, goats and sheep can legally travel up to 52 hours without food water or rest. 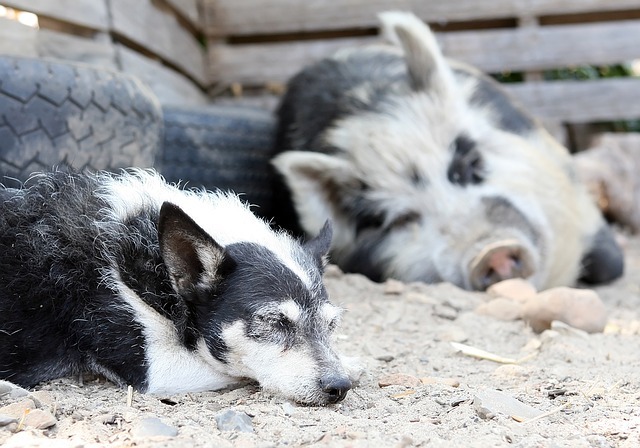 Pigs and chickens can travel up to 36 hours. Join us and let the government know that it's time for change. CCFA director Stephanie Brown has written on the need for change in animal-transport regulations for a recent issue of The Hill Times, Canada's popular Parliamentary newspaper. Stephanie makes a compelling case for animals in transport, pointing out that the government itself — the Canadian Food Inspection Agency (CFIA) — recognizes there's a problem. You can read the article here. 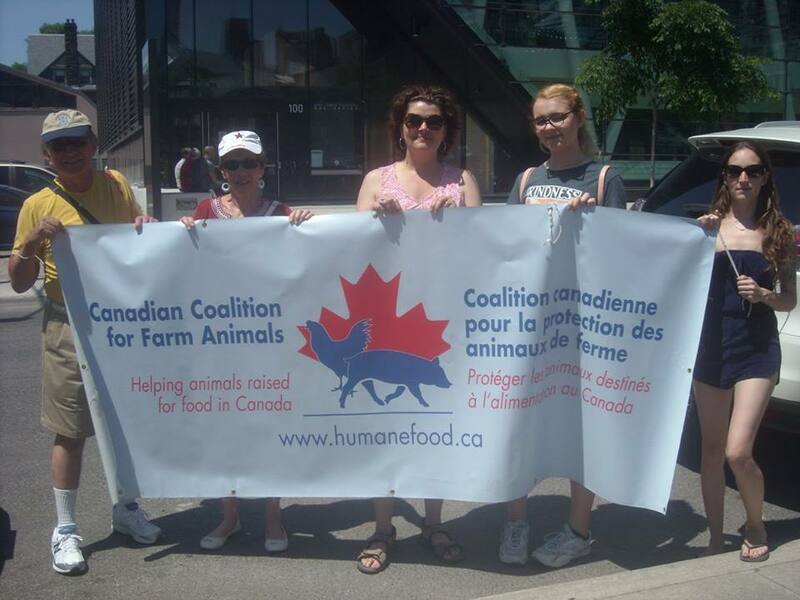 A big shout-out to the folks who helped carry the CCFA banner at the annual Toronto Veggie Parade June 25th, including Vicki and Gilles Fecteau, Lindsay White, Fiona Mills-Hughes, and (especially!) Anne Griffin, who rocked the leafletting — a huge thank you Anne! We’ve written about rescuing chickens, pigs, goats, cows… but a rhea? To be honest, before we heard about Amica the rhea, we wondered what a rhea was. 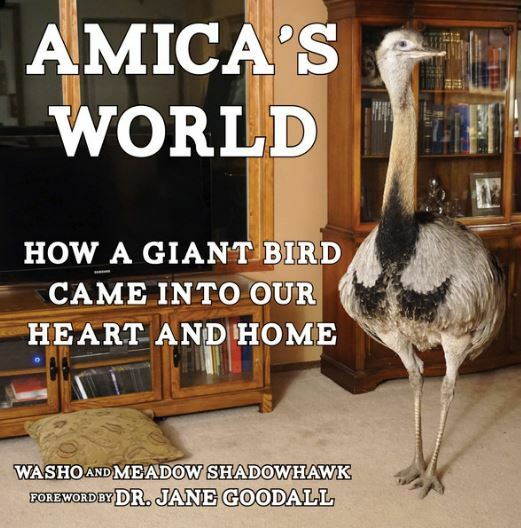 Turns out Amica is one very intelligent, funny and lovable bird — and a big one, too, as mother and son Meadow and Washo Shadowhawk found out when they found Amica and brought him into their Portland, Oregon home not long ago. This is the premise behind the book "Amica’s World: How a Giant Bird Came into our Heart and Home". With text and pictures by Meadow and Washo, and a forward by Dr. Jane Goodall, Amica’s World shows us (once again) the unique, compelling personalities of all animals, including those traditionally raised as livestock. The book will be out November 8th — you can place an order and watch a video of Amica here. This luscious summery salad is from CCFA director Vicki Fecteau's fabulous website Veggie Revolution. If you're looking for easy, real-meal inspiration, check it out and bookmark it. 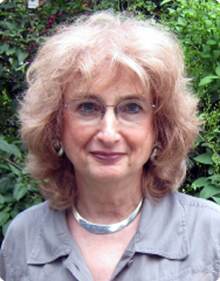 Vicki and husband Gilles are creative foodies who love to cook and share their wealth of vegan recipes. Thank you both! Tear the lettuce into pieces and arrange on four individual salad plates. Peel the orange and remove the slices by cutting along the membranes. Remove any seeds or pith. Peel and slice the avocados into bite-sized pieces. Place them in a bowl with the chopped onion and orange slices. To toast the walnuts, place in a non-stick pan over medium heat for three or four minutes, tossing a few times. Combine the ingredients for the vinaigrette and whisk well. Add to the avocado/orange/onion mixture and toss. Place the mixture over the lettuce on the four salad plates. Top with freshly ground pepper and the toasted walnuts.